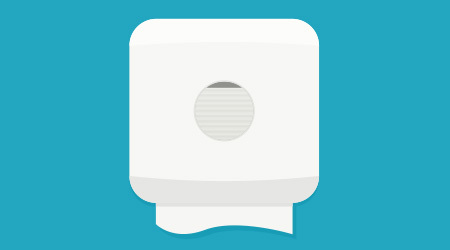 High-speed hand dryers already use 80 percent less energy than conventional dryers. Some manufacturers, however, offer hand dryers that not only dry hands quickly, but consume even less energy. For example, one unit available can dry hands using only 540 watts compared to the typical 1,500 watts for high-speed dryers. To achieve such low energy usage, this type of dryer directs heat to hands from the motor rather than a heating element. Another type of hand dryer uses a special aperture nozzle that increases airflow and reduces back pressure on the fan motor, so less energy is required.